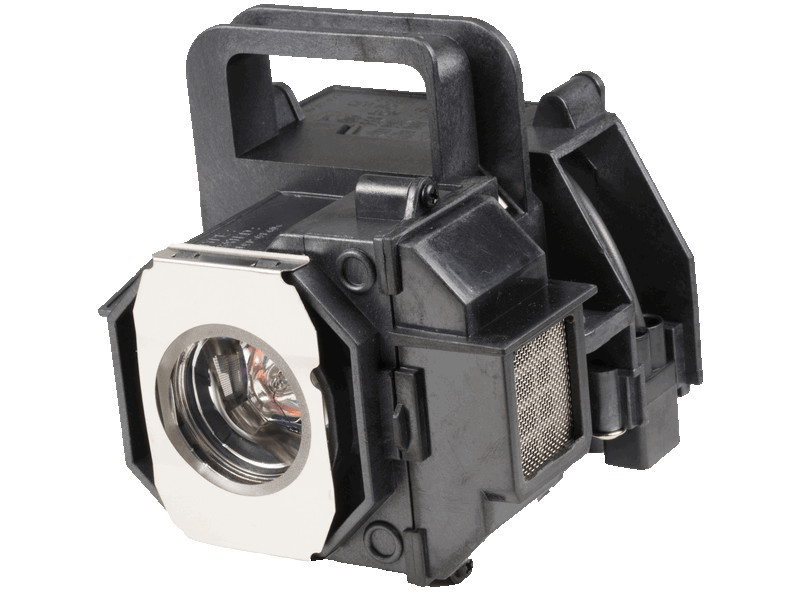 The Epson Powerlite Home Cinema 8345 projector lamp replacement comes with a genuine original 200 watt Osram bulb with a rated brightness of 2,000 lumens and a rated life of 4,000 hours (the lumen rating and lamp life are equal to the original Epson lamp replacement). Our Epson Powerlite Home Cinema 8345 lamp replacements come with a high quality Osram bulb with main components made in Germany. Beware of cheaper lamps made with generic bulbs that have lower quality, lower light output, and reduced lamp life. Trust Pureland Supply with a 5-star Google customer review rating, 6 month warranty, and Free UPS ground shipping. This lamp is guaranteed to be in stock and will ship today (orders placed weekdays before 5pm). Powerlite HC 8345 Epson Projector Lamp Replacement. Projector Lamp Assembly with High Quality Genuine Original Osram P-VIP Bulb inside. Our previous lamp "popped" which scared the daylights out of us - thought our projector blew up. After cleaning things up and talking to some experts in the field Pureland Supply came highly recommended. We got the last Epson lamp on Amazon and saved some money but i think it lasted about 4 months and then exploded - not good! This lamp has much better construction and actually seated into the projector much better with a solid fit. Fired right up and we are back up and running. Thanks for great service and a better lamp.